Aspiring teen painters lose their fear of color at the Kent Memorial Library’s Make a Pet Painting in July. 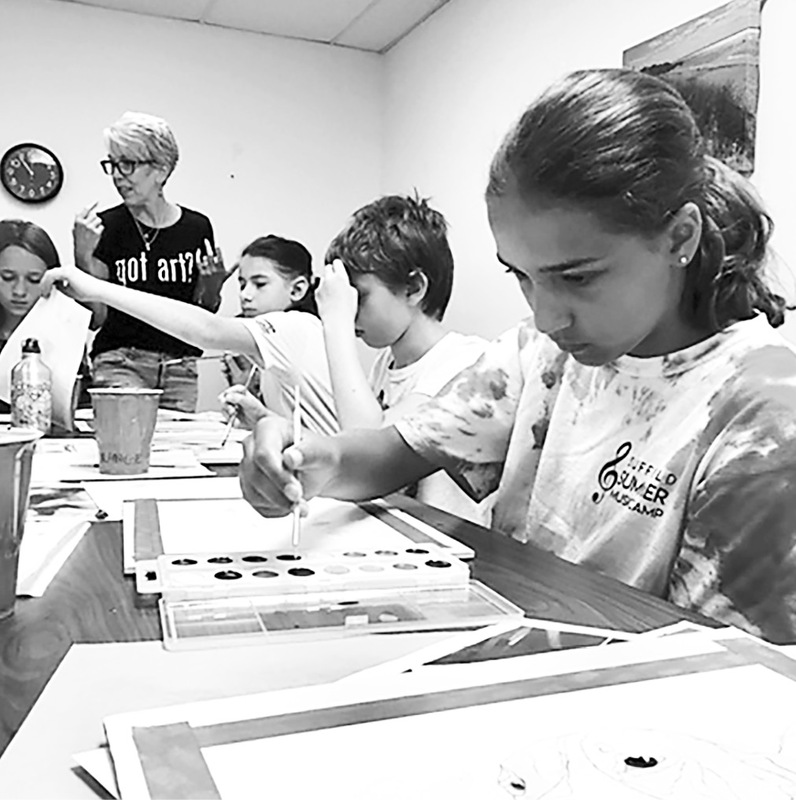 Local artist Christine MacClintic, standing, worked with the students on various wet and dry water color techniques, brush choice, and color. “Painting is a lot more soothing than you would think,” said Hailey Hunt, a freshman at Suffield High School. 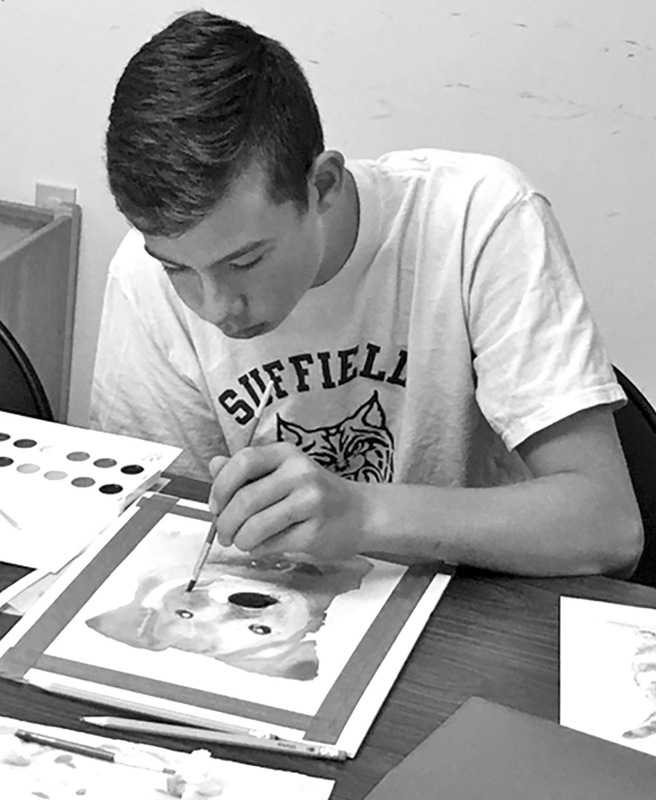 Ian Danielson, 9th grade, explores color for his dog portrait.